There are new Intentions to energize you and to be energized by you on the Love From NYC. Stop by this page by finding the tab on the top of the Newsletter. Sending you each love, light, laughter and sharing my excitement about the Practitioner Skills Development full day class that will be happening this Sunday! Yay!!!!! From Patricia Cota-Robles- NOW Is The Time To Make A Positive Difference! Once again I am called to pass on more information from Patricia Cota-Robles. I continue to find her messages inspiring and energetically transporting. At the end of this message she announces a sale on a set of CD’s that are tools for all lightworkers called to her lead that will support the vast shift of the ages in 2012. What is particularly of interest is that these tools are not designed necessarily for personal transformation alone. Rather, they are designed to serve the greater cause of Humanity and our planet. My experience using her CD’s in the past was that they made a profound positive difference not only to my body-mind system, but they were an extraordinarily powerful boost that I could feel energetically to my whole being. When I listened to her 2010 CD A New Order of Healing the first time, I had never experienced such a sense of relief in listening to any material. It was as though my whole being, each and every cell, was receiving the fulfillment of a long lost need. A deep thirst was being quenched. So you may want to avail yourself of the opportunity to receive these special new CD’s on sale. Subject: NOW Is The Time To Make A Positive Difference! 2012 has catapulted us into uncharted waters. We are in the midst of the greatest shift of consciousness Humanity has ever experienced, and the Earth and all her Life are Ascending up the Spiral of Evolution through TWO dimensional shifts. We are Ascending from the 3rd Dimension into the 5th Dimension. This is a unique experiment that has never been attempted in any system of worlds. Never has a planet that has fallen to the depth of separation and duality existing on Earth been given the opportunity to Ascend through TWO dimensional shifts in such a short period of time. This is an evolutionary process that normally takes millions of years. When we succeed God Victoriously, which we will through the unified efforts of embodied Humanity and the Company of Heaven, we will have cocreated a new octave of Godhood that will greatly benefit ALL Creation. No matter how grandiose that statement may sound, the Company of Heaven said it does not even begin to adequately describe the magnitude of what the success of this experiment will accomplish on behalf of the Sons and Daughters of God throughout the Universe. We are a sum total of all of the experiences we have ever had. Through lifetimes of free will choices and the abuse of our creative faculties of thought and feeling, Humanity is responsible for creating the illusion of separation and duality existing on Earth. These distorted human miscreations have resulted in mind-boggling pain and suffering for Humanity and all Life evolving on this precious planet. Once we transmute the human miscreations of separation and duality, which we must do in order to Ascend into the 5th Dimension, we will retain the lessons we learned from our mistakes and from the loss of awareness regarding Divine Love and the Oneness of ALL Life. When we Ascend, we will take these incredibly painful lessons with us and they will be recorded in the Halls of Knowledge. Our hard-won lessons will then be available to every Son and Daughter of God through study and observation. This means that our sisters and brothers throughout the Universe will be able to learn the lessons of separation and duality WITHOUT EVER having to delve into the depths of pain and suffering Humanity physically experienced on Earth. For this reason, the Legions of Light throughout Infinity are holding the sacred space for our success in this unique experiment. Everyone in the Realms of Truth knows what this victory will mean for the Sons and Daughters of God. That is why this one tiny planet and the Sons and Daughters of God evolving upon her are receiving more assistance from the Heavenly Realms than our Father-Mother God have ever allowed before. I would like to share some important information with you so that we will all understand our responsibility in endeavor. Every man, woman, and child embodied on Earth at this critical time is here because he or she volunteered to assist with this unique experiment. We have all been preparing for this moment for a very long time, and we already have everything we need within us to succeed in our facet of the Divine Plan. First we need to understand the magnitude of what is actually happening on Earth. The experiment we are now in the midst of involves a Cosmic Alignment known as “The Shift of The Ages.” For over 25 years we have been hearing about this alignment, but most of the information is referring to the completion of the 5,125-year cycle of the Mayan Calendar and Earth’s alignment with the Galactic Center of the Milky Way. That alignment coincides with the Solstice of December 21, 2012. The Beings of Light in the Realms of Illumined Truth have revealed that, in Truth, the Shift of The Ages is far greater than we are comprehending at this time. 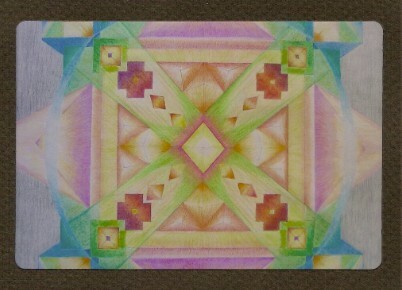 It is not just the completion of a particular cycle of the Mayan Calendar. The Shift of The Ages involves an extremely rare event that happens only once every several million years. During that rare Celestial Moment, Galactic, Solar, and Planetary cycles, within cycles, within cycles dovetail into one synchronized pulsation. This pulsation rhythmically unifies ALL Creation with the Heartbeat of our Omniscient, Omnipotent, Omnipresent Father-Mother God, the Cosmic I AM, All That Is. For greater clarity, here are just a few of the grand cycles involved in the Shift of the Ages. In addition to the 5,125-year cycle of the Mayan Calendar, at the present time we are experiencing the cycle of Earth’s transition from the 2,166-year Age of Pisces into the 2,166-year Age of Aquarius. We are also experiencing the culmination of the 26,000-year cycle known as the Precession of the Equinox, the 438,000-year cycle of Kali Yuga, the 1.8 million-year cycle of Satya Yuga, the 4.4 million-year cycle of Mahayuga, and the 4.4 billion-year cycle of Kalpa, or the Day of Brahma. A Kalpa equals 1,000 Mahayugas or Divine Ages. The Day of Brahma reverberates with the prime creative force of the Godhead. This cycle is one day in the “seven days of Creation” mentioned in the Bible. During the Cosmic Moment referred to as the Shift of The Ages, the entire Universe synchronisticly aligns with the Heartbeat of the Cosmic I AM, the Source of All That Is. Once that unified, rhythmic pulsation occurs, our Father-Mother God Inbreathe the whole of Creation up the Spiral of Evolution into the next dimension of our learning experience. This is a natural part of our evolutionary process as Sons and Daughters of God. We have been going through these Cosmic Inbreaths since we were first breathed forth from the Heart of our God Parents. But this time, it is different. Through the unprecedented Divine Grace of our Father-Mother God, Humanity and the Earth are being offered an opportunity to Ascend through TWO dimensional shifts during this Cosmic Inbreath. This has never happened before. The hope of our God Parents is that the Sons and Daughters of God evolving on Earth will at long last reverse the adverse affects of our fall from Grace, so that we can catch up with the rest of our Solar System and make the shift into the 5th Dimension. When we fell from Grace aeons ago, we descended into such separation and duality that when it was time for the last Shift of The Ages we could not lift our heads above the mud puddle of our human miscreations enough to see the Light. We were so buried in our self-inflicted pain and suffering that we missed the opportunity to Ascend into the 4th Dimension with the rest of our Solar System. Tragically, we were left behind and we have been struggling through the quagmire of our human miscreations and the appalling antics of our fragmented, fear-based human egos ever since. Even though the separation and duality we have experienced on Earth was not part of the original Divine Plan, once we created this situation our I AM Presences and the Company of Heaven decided that the lessons we learned from the experience should be used to prevent other Children of God from making the same mistake. That goal was accomplished far beyond what was necessary. We have been writhing for far too long in the atrocities we created when we forgot about the Oneness of ALL Life and the profound Truth that LOVE Is ALL That Is! So here we are in the midst of another Shift of the Ages and our Solar System is Ascending from the 4th Dimension into the 5th Dimension. During the last shift, the Earth alone was left behind to struggle in the 3rd Dimension. Our Father-Mother God and the Company of Heaven feel that we have been wallowing in the quagmire of our human miscreations long enough. They do not want ANY of us to be left behind this time, forced to endure our painful miscreations for thousands of years. The problem is that they cannot just do this for us. We have free will, and they can only intervene in our lives in ways that we have requested through our heartfelt pleas, our prayers, and our invocations. A lot of people are reporting that there will be millions of people who will not make the conscious choice to move into the Light in time for the completion of this Ascension process. They say there is nothing we can do about it and that these souls will be left behind to progress at their own slow pace. What our Father-Mother God and the Company of Heaven are imploring us to remember is that WE HAVE ALREADY BEEN THERE AND DONE THAT. In fact, that scenario is exactly the tragedy that the Beings of Light want us to avert this time. Our Father-Mother God do not want a single Child of God to be left behind. That is the reason for this merciful experiment. If any of us do not make the shift into the 5th Dimension, it means the experiment failed. Every person who was left behind during the last Shift of the Ages is embodied on Earth at this time. In addition to these precious souls, there are millions of advanced souls who have volunteered to embody on Earth during this Cosmic Moment. The Divine Intent of these souls is to help the souls who were left behind the last time to awaken, so they can make the shift this time. This is why there was such a tremendous population explosion during the last century. It is immaterial whether we are part of the Earth’s evolutions who were left behind last time or whether we have come to help our sisters and brothers make the shift this time. All that matters is that we all accept responsibility for doing what we came here to do. That is to help Humanity to lift above the pain and suffering effectively enough to see the Light, so each person will make the conscious choice to Ascend into the 5th Dimension with the rest of our Solar System. Our Father-Mother God have revealed that at inner levels the I AM Presence of every person has made the choice to move into the Light. Now this heart commitment needs to resonate in each person’s conscious mind and feeling world. This awakening within the person’s heart and mind will motivate changes in their behavior patterns and belief system, which will lift them up enough to perceive the Light. Then they will be able to comprehend the awesome opportunity at hand. Everyone has free will so we cannot just do this for them, but you and I and every other willing person have an amazing ability to help in the process. The Universal Law is: “The call for assistance must come from the realm where the assistance is needed.” Since we are One with every man, woman, and child on Earth, and since we are on Earth ourselves, we have the ability to invoke assistance from every person’s I AM Presence and the Company of Heaven on their behalf. And when we do, the floodgates of Heaven open. Many of the recalcitrant souls on the planet have been so manipulated and controlled by their fear-based, fragmented human egos that they do not even remember that they have an I AM Presence or that they are a Beloved Child of God. They are oblivious to the events occurring on the planet, and the concept of the Shift of The Ages seems like a fairy tale to them. These are the souls that continue to act out adversely and that many people are saying are going to be left behind. Often that possibility seems like a relief since these are the people who are usually wreaking havoc in our lives and on the planet. However, these are the very people we have promised to help. The millions of people who are awakening and making the choice to move into the Light on their own are not the ones who need us. They are going to succeed in making the shift and be just fine. It is our sisters and brothers who have forgotten who they are and the fact that they are One with all Life who need our help. They are not acting out in the adverse and appalling ways we are witnessing because they are evil. It is due to the fact that they are so trapped in the illusion of separation and duality that they think the only way to survive is to lie, cheat, steal, and kill. These are the very people we have promised to help. These are our sisters and brothers who need us the most. And these are the people who will make the most positive difference in our lives when they awaken and choose to stop creating such pain and suffering for Humanity. Please, let’s not forsake them or write them off. And let’s certainly not perpetuate their descent into chaos by holding the thoughtform that they are going to be left behind to suffer with their human miscreations for aeons of time. Instead, let’s think of them as our sisters and brothers in every sense of the word, which they actually are. Let’s think of them as our loved ones. In that case, what would your wishes be for them? What action would you take in order to help them awaken? What would you be willing to do to hold the sacred space for them as they lift above the negativity manifesting in their life? 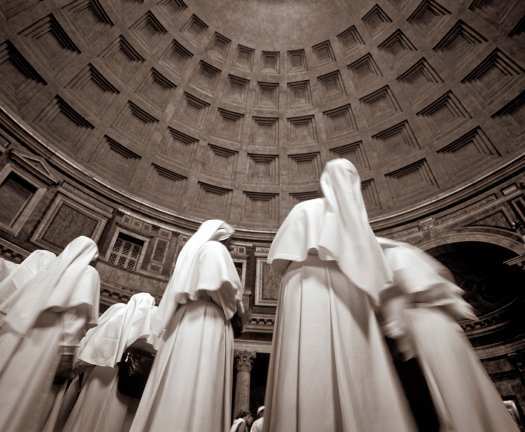 Would you invoke Divine Intervention on their behalf? This is why you are on Earth! Listen to your heart and you will know the Truth of that statement. Now, ask your I AM Presence how you can be the most powerful Instrument of God during this life-transforming year of 2012, and respond to your inner guidance. You will know exactly what to do. If you would like some help with this vitally important facet of your Divine Plan, the Company of Heaven has given us Sacred Knowledge and very Powerful Tools over the years that will help you to fulfill this part of your mission. To make this timely information easily accessible for you, we at the New Age Study of Humanity’s Purpose have two CDs that are specifically designed to help you accomplish the mission of lifting yourself, your loved ones, and the Family of Humanity up in time to make the shift into the 5th-Dimensional Realms of Light. Due to the significance of the hour, we are offering these CDs at a reduced rate for your convenience. This CD contains important information and powerful tools that will teach you how to hold the sacred space for yourself and your sisters and brothers who are so buried in the pain of their life situations that they cannot lift their heads up enough to see the Light. Through your selfless service to the Light on their behalf, you will greatly accelerate their Awakening. This CD will also teach you how to invoke the highest aspects of Divine Integrity into the Governments of the world. This CD is the key to understanding our NEW Planetary CAUSE of Divine Love and what it means for all of Humanity during this momentous Shift of The Ages. 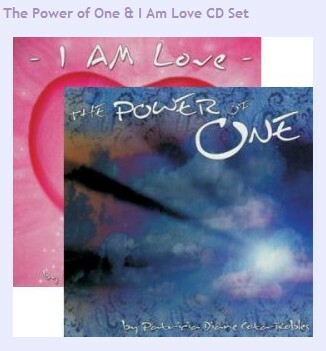 The information about Divine Love that is given to us by the Company of Heaven and revealed on this CD, is destined to shift the consciousness of anyone who takes the Sacred Knowledge into his or her Heart Flame and expresses it in their behavior patterns. The CDs are available in ENGLISH or SPANISH. You can order the physical CDs from the Order Form on the next page, or from our SECURE website. You can also download the CDs directly onto your computer from an mp3 file. You may order these items by MAIL or FAX or TELEPHONE or by using our SECURE WEBSITE. If this link does not work, please copy and paste it in your browser. This beautiful painting by artist, Group member Carol Cannon, was sent as a photo birthday card to me by her a few years ago. I hope that in scanning the photo her original gorgeous colors and composition have not been altered too much. My project this week was about sorting through financial papers, organizing and storing the papers from last year and making room for the new ones. By getting ready to file my tax returns I have the physical sense of the old year being completed and the new one starting out fresh and clear. I love when I complete this ritual by shredding the oldest set of papers that are no longer needed to be stored. I’m not at that point yet, but it’s one of my life’s little rituals that always feels so good to me. While this is happening I am thinking about other odds and ends that need completion before our new year is no longer new. One thing I would like to talk about is my personal business transition which is still in transition. You may have noticed that the name of this newsletter changed a little while back without my drawing attention to the fact. Also altered is the paragraph about the blog site and my practice. For almost seven years the major object of my passion and mission was doing all that I possibly could to actively hold an energetic space for each of the members of the Group, for all of my students, with the purpose of growing excellent practitioners of Resonance Repatterning. Underneath this was my conviction that by establishing and supporting this community in New York City, wonderful RR would grow and expand to reach so many other people. Concurrently, my passion was directed to the Certification Board of the Repatterning Practitioners Association and in my teaching and organizing a complete series of the basic courses every year. At the end of 2010 I received crystal clear Guidance, (much to my chagrin), that I had to drastically alter my relationship to all aspects of my involvement with RR. Simply and in a nutshell, the problem was about my egoic attachment in all that I have just described which had to be relinquished. I struggled for a whole year until I finally surrendered at the end of 2011 and let go of teaching the RR seminars. I let go of my participation as chair person and member of the Certification Board. I let go of the monthly meeting of the Group. I opened my private practice to include more psychotherapy clients ( I am a fully licensed clinical social worker) and to more clients who want physical/energetic support in their own healing by my providing Reconnective Healing®, Reiki and other energy based work. I changed the name of my practice, as suggested by my friend / business/blog consultant, Carolyn Winter ( www.lighttravels.com). My business card said Transformation Healing since 1995. My new cards say Radiant Healing instead. I rescheduled the cancelled Practitioner Skills Development Day from November, to happen on January 29th, 2012 as an all day class for certification work and for those who are already certified to earn half of their 2012 CEU’s. By the way, this class is open to Certified Practitioners and to Student Practitioners who would like to attend for the learning, the CEU’s and to possibly receive a session. Being observed is not a requisite to attend. I have been giving a lot of thought about Group and Skills Development classes for 2012.Since I can no longer actively hold the space for certification and group members, I am trying to figure out how I can resume Group in a different way. Within the next few weeks I hope that I will be ready to let you all know what I have in mind. Here’s what I have in mind so far, but nothing is definite. When I am ready I would like to have Group meet at least four times in 2012 so that there continues to be an accessible way to earn required CEU’s . Rather than having monthly dates that I am committed to saving for Group, there may be a list of proposed Group dates, with reminders posted here on my newsletter. Group members would be required to commit to attend a session when they wanted to come to Group, at least three weeks in advance and if there are enough people , then three weeks beforehand everyone would know that Group was happening.. So far, I am willing to try this out for one Group and I will set a proposed date for that within the next week or two. I’d like to do two full Skills Development classes in 2012 and I am again, unsure as to how that will work yet. But, I am getting there. Please let me know that you are interested in attending the Practitioner Skills Development class on January 29th to earn CEU’s/to have a session/ to support Kim and Caropl in their Certification work. I need to know by Monday, Jan. 23rd.